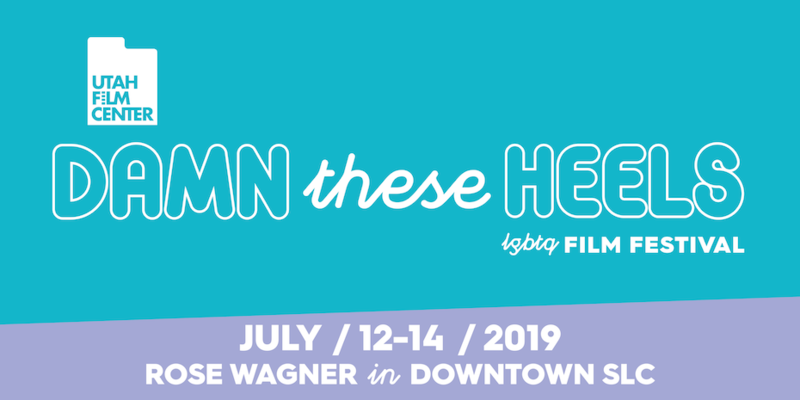 We are excited to offer the 16th year of Damn These Heels, a festival for all who want to celebrate our community’s diversity by sharing LGBTQ history, culture, ideas, struggles, and triumphs through film. What started out as a handful of screenings has turned into the longest-running LGBTQ film festival in the Mountain West, an immersive weekend festival that has presented more than 220 thought-provoking and entertaining films over the years including Quiet Heroes, Southwest of Salem, Todrick Hall: Behind the Curtain, The Pearl, Strike a Pose, Kiki, G.B.F., God’s Own Country, The Slippers, Boulevard, Beginners, Summer of Sangaile, and Tangerine. Festival passes are now on sale. Individual film tickets on sale in early June when films are announced. Though we love it as much as you do, the truth is that the festival format is expensive and difficult to sustain financially. We spent several months talking with many of our attendees about how we could make the Festival more cost-effective while still maintaining our high-quality film programming. What we heard is that Damn These Heels Film Festival is integral to the Salt Lake LGBTQ experience; it is a reminder that there is a progressive oasis in the middle of a culturally conservative community. You also told us that maintaining the festival format allows your friends and family from all over the country to devote one weekend to an immersive community-building experience. Damn, you are convincing. We are keeping the festival format but doing some trimming and streamlining behind the scenes, and looking into ways to make the Festival more financially sustainable. If in the past you bought a ticket or two, please consider buying a pass this year. If you bought a pass to prior Festivals, please consider adding a donation to your pass purchase this year. Damn These Heels is for the community and needs community support for it to continue. Passes Now On Sale – Get the Most Out of Your Festival! To add a donation level to your pass, click "Buy Now" above and add your desired donation level to your purchase. *New this year* Add a donation to your pass to help make the Festival more financially sustainable. Interested in getting a free pass to the Festival? Sign up to volunteer! In order for the Festival to be more financially sustainable and simplify the pass & package options, we are trying a new pricing structure this year. Instead of the two pass types & VIP Packages, we are offering one Festival pass, with the option of adding a donation at $100, $250 and $500 levels. We understand that this is a different structure from the past, but we thought it was important for us to communicate how much we love this Festival and also that we need your financial help to ensure it continues to be the best Damn festival around. If you previously used your VIP sponsorship to share passes with friends, consider purchasing multiple ticket passes, or sharing your tickets from one pass with others. Tickets, a la carte, will still be available in early June for $10 each. A single Opening Night Film and Party ticket is $25. Damn These Heels is a program of the nonprofit Utah Film Center and made possible by the support of individuals, foundations, and corporate supporters. Interested in being a corporate or foundation sponsor? Please click here to email our development team.